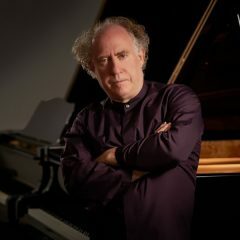 Jeffrey Kahane, USC Thornton professor of Keyboard Studies, led the Sacramento Philharmonic in a concert paying homage to Beethoven’s famous marathon concert of 1808, which featured the world premieres of his Fifth and Sixth Symphonies, his Mass in C, and his Choral Fantasy, among others. In addition to conducting, Kahane also performed the piano solos in both Beethoven’s Choral Fantasy and the Piano Concerto No. 4. The Sacramento Philharmonic divided this extensive program over two consecutive Saturday programs, which concluded on January 26 at the Sacramento Community Center Theater.